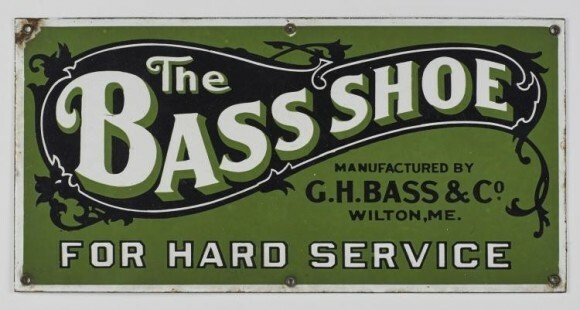 This sign is for Bass Shoes. The sign’s colors are green, blue, and white. The text on the sign reads: The Bass Shoe manufactured by G.H. Bass & Co Wilton, ME For Hard Service. The sign shows text inside of a decorative border.